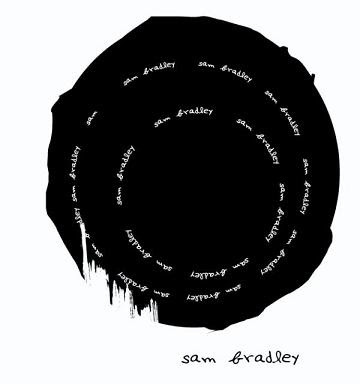 It's been an exciting year for musician Sam Bradley. On his MySpace page he describes himself as a "late bloomer in the music world". But he's surely made up for it just in the past year. You can find his name on the 'Twilight' soundtrack, right next to that of his childhood friend Robert Pattinson. They co-wrote "Never Think", which Pattinson performs in the movie. A year later the soundtrack has sold over 3.5 million copies worldwide, and has remained on the Billboard 200 chart for 56 consecutive weeks. But ask Sam what he thinks about it winning an American Music Award, or being nominated for two Grammys, and he will dispute he deserves credit for it. (We try to convince him otherwise). However what he will take credit for is his first EP, released over the summer. It includes fan favorites such as "Sea Blue" and "Passport". The folksy tunes connect with audiences in a very personal level. And that is just like Sam wants it. We caught up with Sam in Seattle, the next to last stop on his tour to promote his EP. We talked about what 2010 will bring, his message to his twitter fans, and of course once he mentioned this famous buddy of his, we couldn't resist asking about that "shirtless scene". Sam's version of "Never Think" - "Too Far Gone"